Donald Takayama's NOAH COMP model. 2+1 setup; FCS Fusion Fins and Takayama center fin all included. 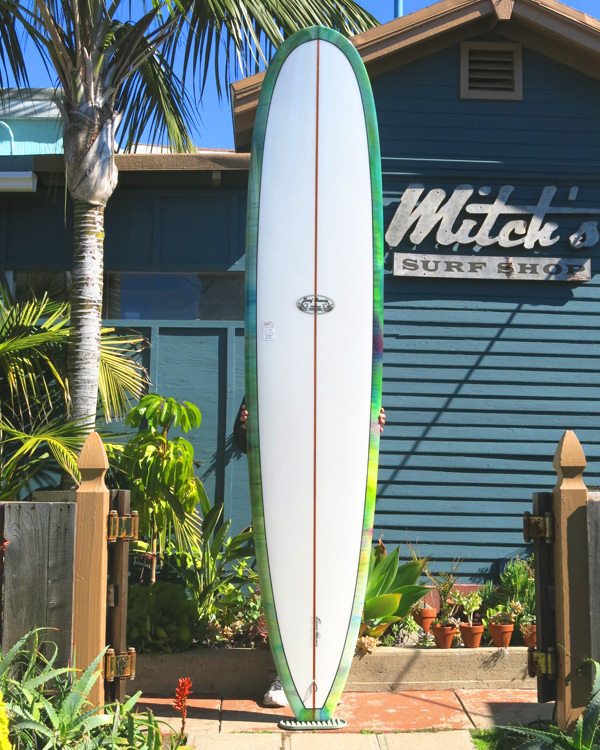 Length: 9' 2" Width: 22 1/2" Thick: 2 5/8"
Nose: 18 3/4" Tail: 13 3/4"
Donald Takayama's NOAH KA OI ("Noah's The Best!") competition-style model, designed for Hawaiian Pro Designs' team rider Noah Shimabukuro. Versatile noserider with concave nose, pulled in outline with beach break style rocker.